Carnivores, herbivores and omnivores; vertebrates and invertebrates. 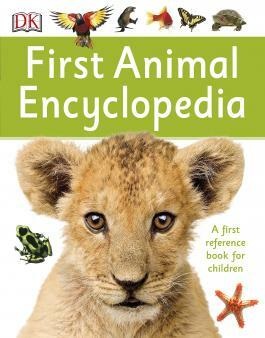 Your child will learn about animals and their classification in primary school. We explain what they will find out about amphibians, birds, fish, mammals and reptiles. What are children taught about animals in primary school? Animals are the living organisms on our planet. They feed on organic matter and can be classified according to their characteristics. 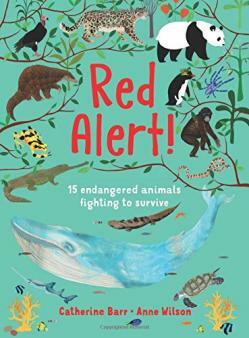 TheSchoolRun has a free Homework Gnome page with loads of links and information for each type of animal. 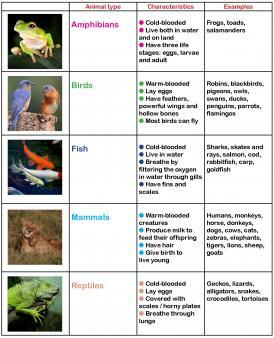 Animals can be grouped according to what they eat. Carnivores eat mainly meat and hunt their prey. Wolves, tigers, lions, foxes and owls are carnivores. Herbivores eat mainly plants. Herbivores include rabbits, donkeys, horses, cows, sheep, giraffes, elephants, goats, parrots and tortoises. Omnivores eat a mixture of plants and meat. Pigs, hedgehogs, humans and bears are all omnivores. 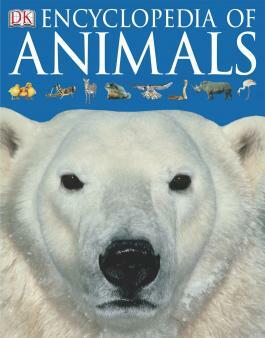 Animals can also be grouped according to their bone structure. 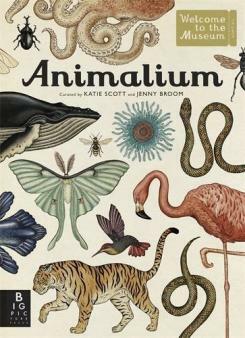 Invertebrates are animals which don’t have a skeleton (for example insects, spiders, snails). Vertebrates do have a skeleton or backbone inside their bodies. 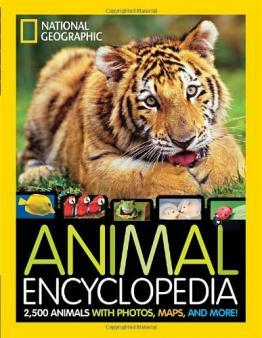 Vertebrates include mammals, reptiles, birds and amphibians. 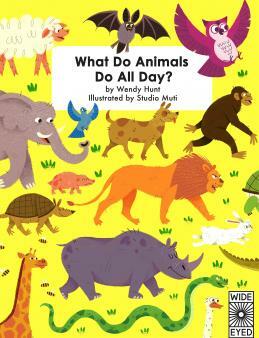 When are children taught about animals? 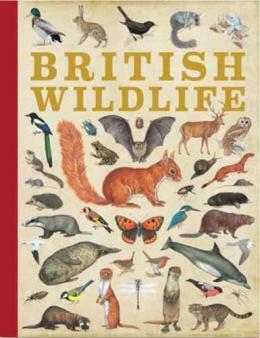 In Year 1 children begin by identifying and naming common animals including fish, amphibians, reptiles, birds and mammals. They will focus on the type of animals they and their peers keep as pets and animals they may come across in the local area. Children will begin to group animals according to what they eat. 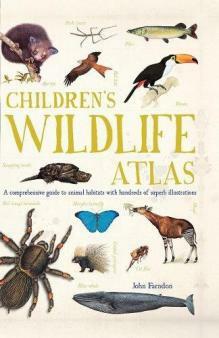 Children will be taught the different parts of animals (for example, birds have beaks and wings). Year 2 children learn about the basic needs of animals (food, water, air) and how to care for pets and animals in the local environment. They also learn to match animals to their offspring (for example, a lamb grows into a sheep, a foal becomes a horse, etc.). In Year 3 children learn that animals get nutrition from what they eat and compare animals' diets. They also look at animals' skeletons. Year 4 children explore animal food chains (producers, predators and prey) and are taught how to classify animals according to their characteristics. 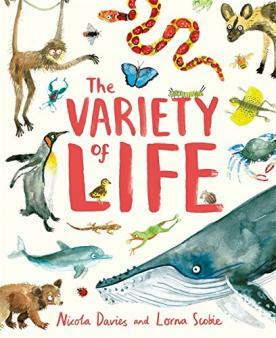 Year 5 children learn about animals who live in different habitats around the world (in rainforests, oceans, deserts) and also find out about animals of the past (for example those who lived in prehistoric times). They will compare and contrast these animals with those in the local environment. In Year 5 children explore the life cycles of different animals and compare those of mammals, amphibians, birds and insects. Children also learn about the different ways animals reproduce (for example, do they lay eggs or give birth to live young?). In Year 6 children build on their knowledge of classifying animals by looking at sub-dividing. They compare and contrast invertebrates and vertebrates and may learn about famous scientists such as Charles Darwin and Carl Linnaeus. 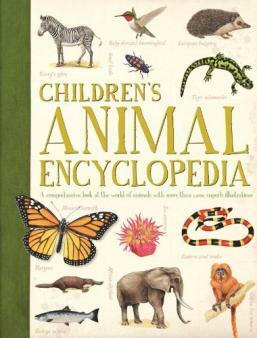 How do children learn about animals in the primary classroom? Creating their own video clips or podcasts about animals. Some schools may keep animals or school pets such as chickens, fish, rabbits and tadpoles for children to care for and observe. 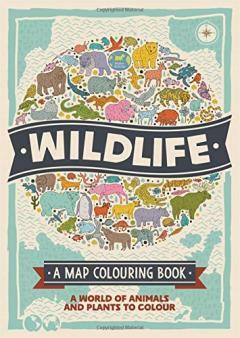 Choose a favourite animal and research it. 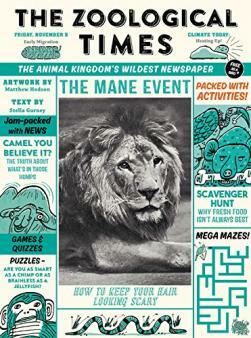 Can you create an animal fact file together?